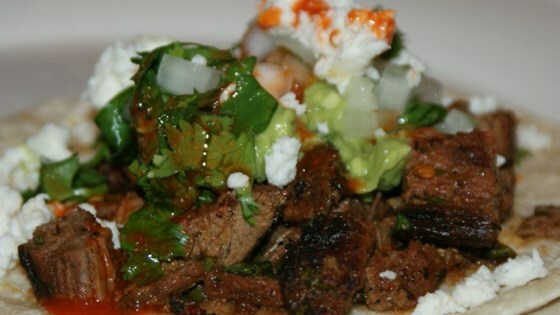 "I've tried many marinade recipes for carne asada, and this is our family favorite!" Here's a super flavorful marinade for a delicious carne asada. this was fabulous. I did it it in the crock pot and the meat was like butter!! delicious!! This was okay, it was very citrusy. I wished more of the spice flavors came through. This is so similar to a fajita marinade from the Food Network. It is wonderful for fajitas. Try it, you will love it. The chipotle is in adobo sauce in a can. followed everything but left out the cilantro, I hate the stuff! Made on the grill and it was very tender which is a trick sometimes with flank steak. Thanks Lisa.